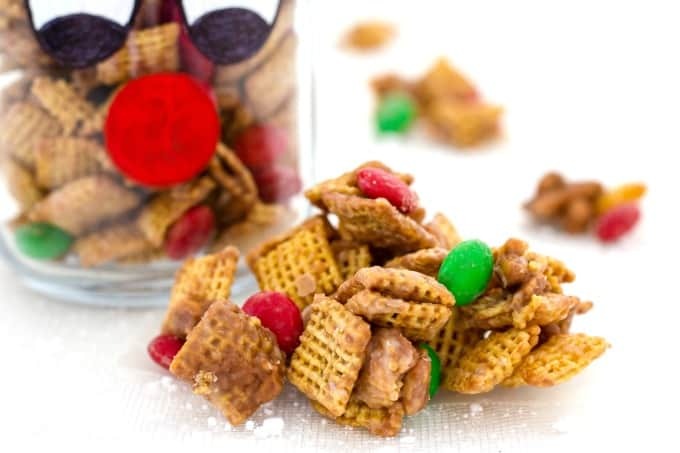 Looking for an easy party mix recipe to serve at parties or even give as a gift? 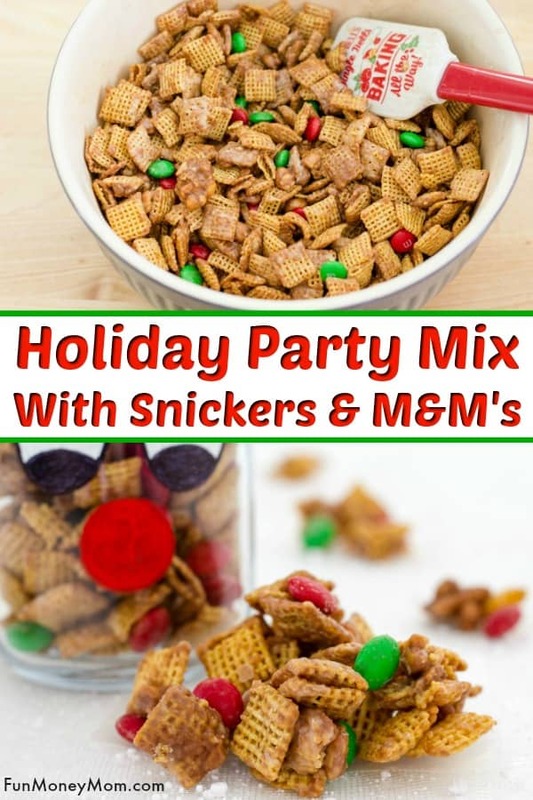 This party mix with Snickers and M&M’s will be a big hit! 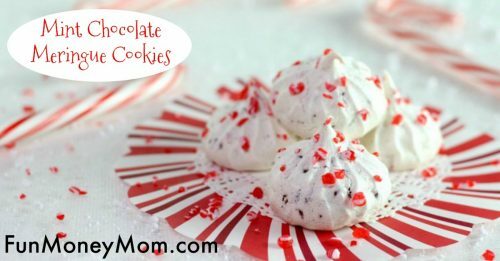 Want an awesome treat for the holidays? 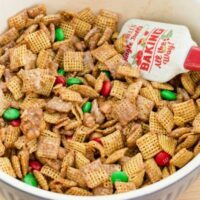 This party mix recipe with Snickers and M&M’s is one of my new favorites, though I have to get past my hubby to get to them…he’s become a little obsessed. This Christmas snack is seriously good! The best part is that it’s so easy to make. 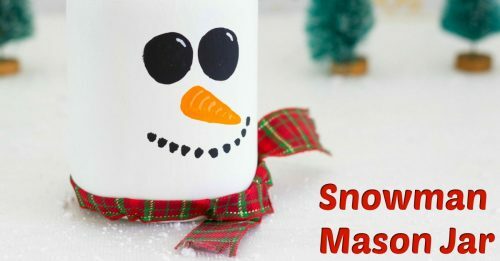 I’m using it for DIY Christmas gifts but it’s perfect for parties too. You’re going to love this as much as my hubby does! 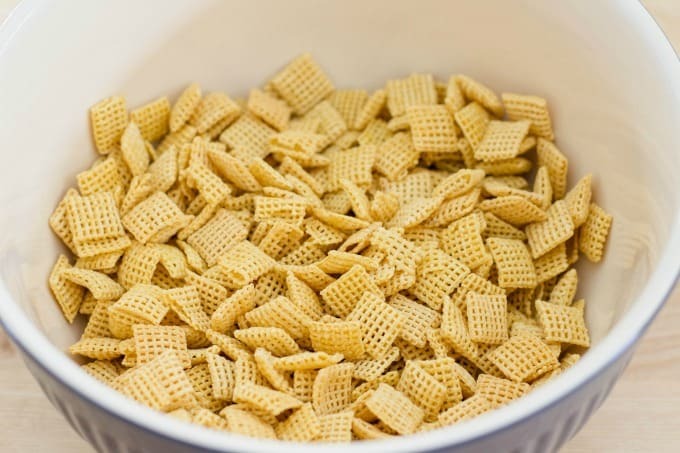 You’ll want to start with a big bowl of Chex cereal. Melt butter over low heat, then add chocolate bars. I started with eight but ended up adding more (because there’s no such thing as too many snickers bars!). Once the Snicker’s bars have melted, pour them over the cereal. Mix until the cereal is evenly covered. 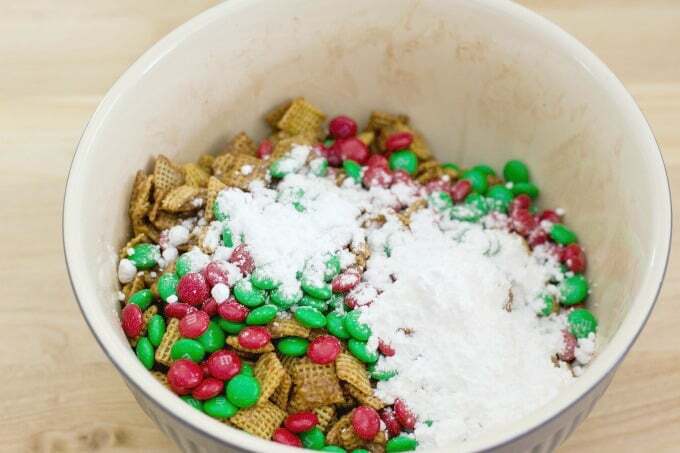 Add M&M’s and powdered sugar. 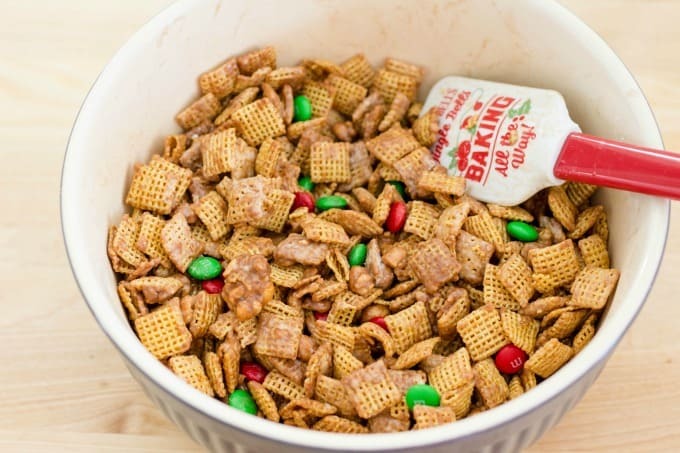 Stir it all together and you’ve got the perfect party mix recipe for the holidays. 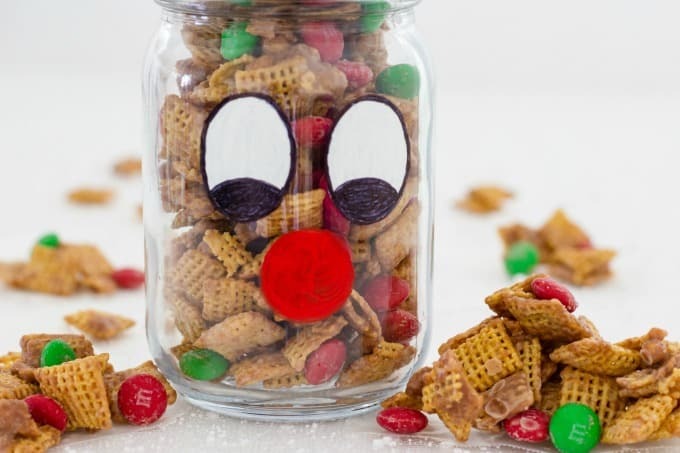 I love adding this holiday party mix to fun mason jars and giving them as gifts. 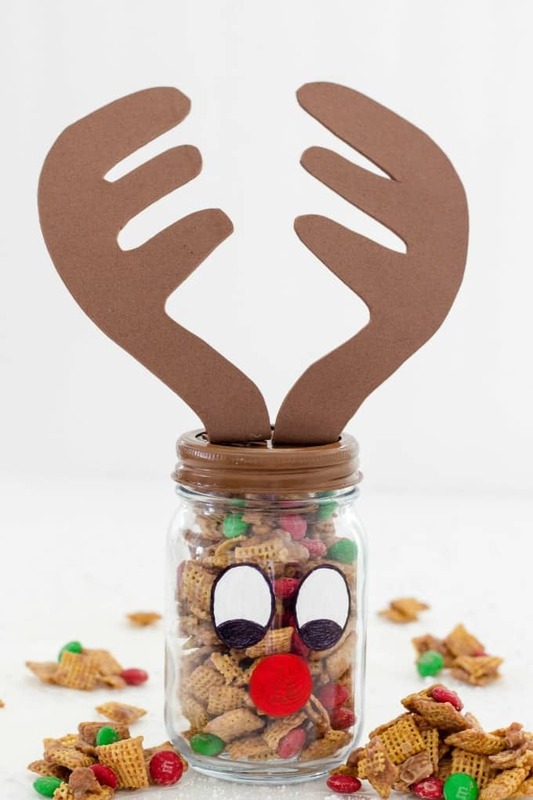 This reindeer is cute but it looks even better filled with holiday treats (tutorial for the reindeer is coming soon). The combination of sweet and salty was just perfect! Everyone’s going to be trying to get on your nice list if you’re giving these out for the holidays! Looking for an easy party mix recipe to serve at parties or even give as a gift? 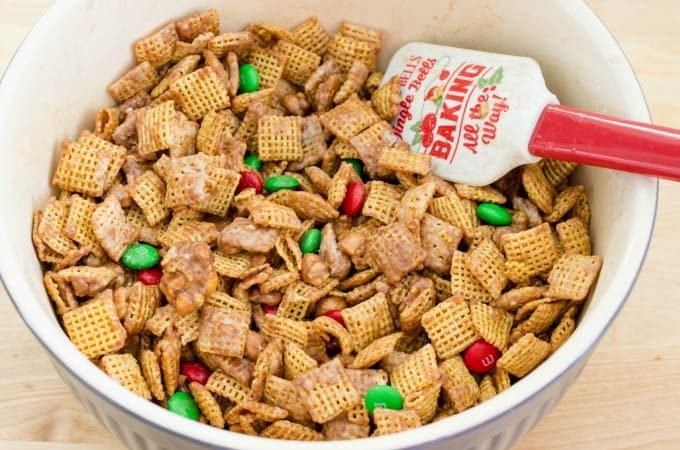 This party mix with Snickers and M&M's will be a big hit! 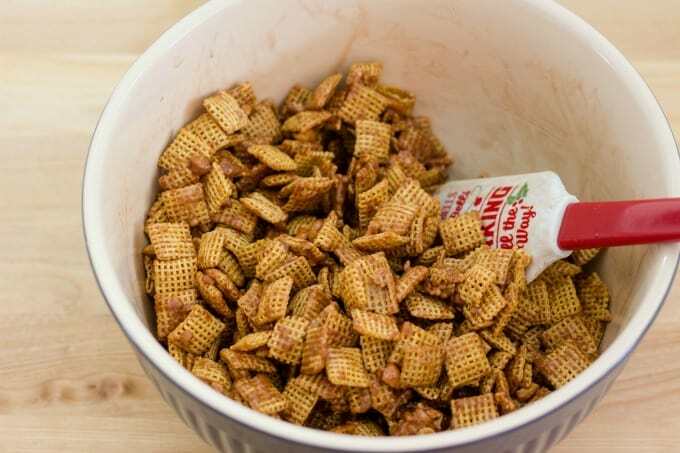 Pour cereal into a large bowl. Set aside. 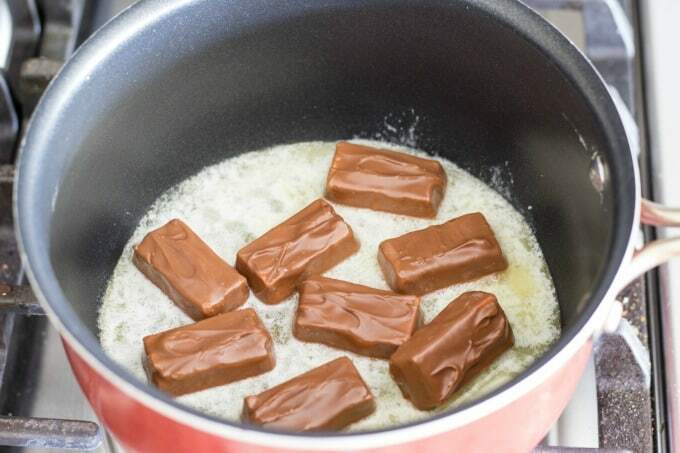 Melt butter in a saucepan, then add Snicker's bars. Stir over low heat until melted. 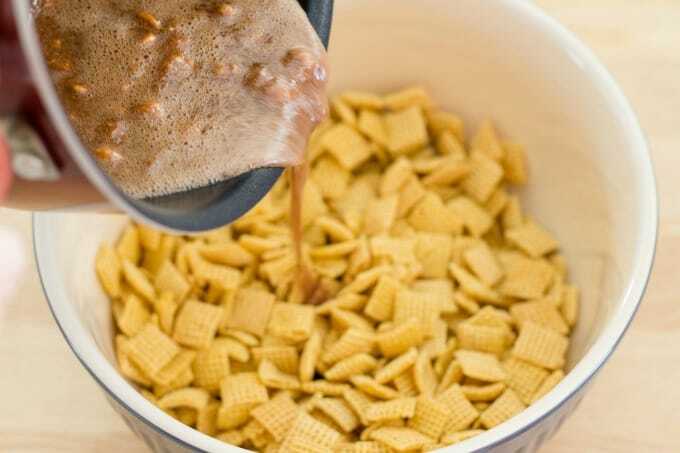 Pour Snickers mixture over check mix and stir until the cereal is evenly coated. Stir in the M&M's and powdered sugar. Enjoy!